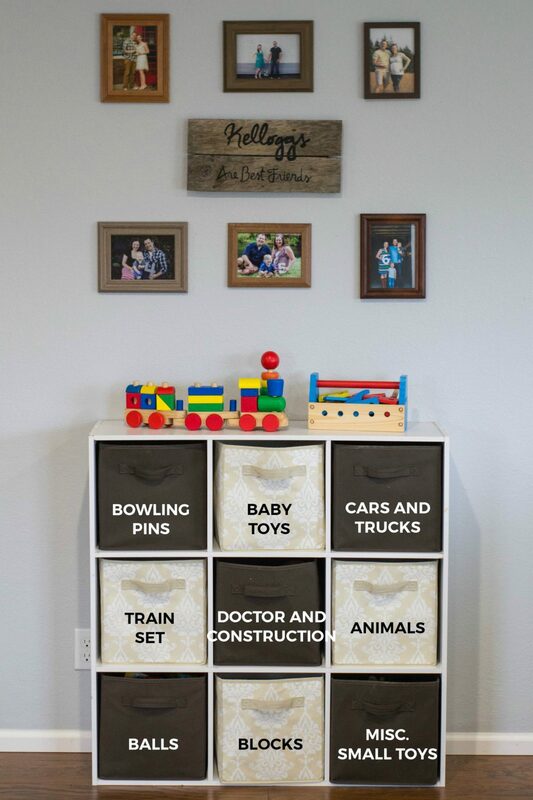 In my dream world my kiddos have perfectly clean rooms with precious wooden toys that they happily play with, not wanting anything plastic or noise making, or (heaven forbid) toys with little pieces! Of course, we all know this isn’t my dream world and my boys are all about the colorful, loud, messy toys! Since Christmas has come and gone, we have new toys to add to our collection and it’s time once again to organize all the toys and save my sanity! 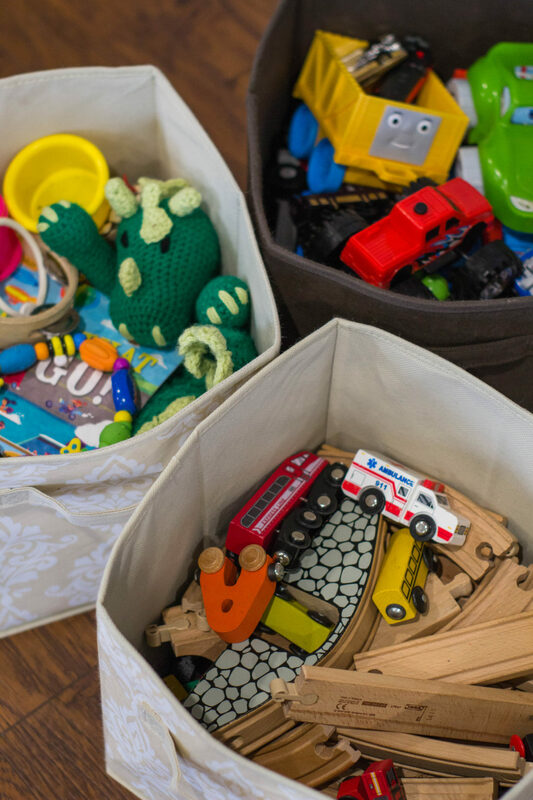 Now, I’m not talking about simply hiding the toys away and pretending like they don’t exist – I’m talking the purging, categorizing, and replacing batteries kind of organization! 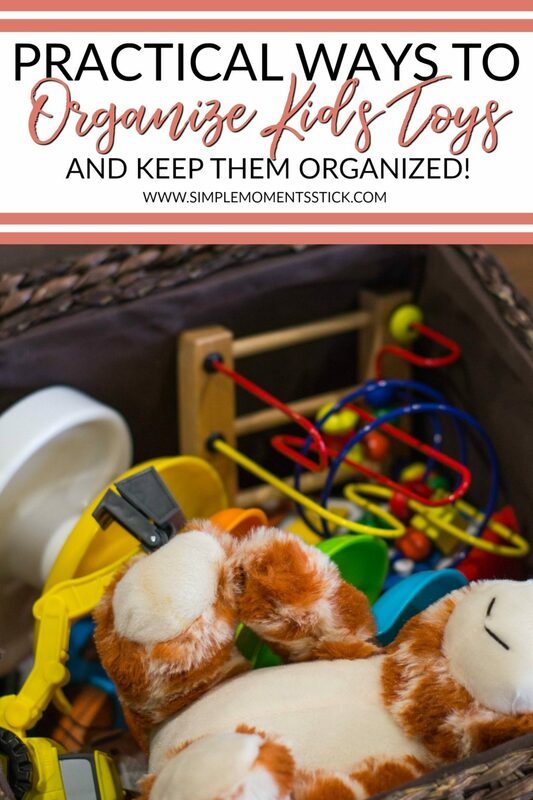 If you’re as overwhelmed as I was, I have tips for you to get your toys organized once and for all! Before you can organize your kids’ toys you need to purge, purge, purge!!!!!!!!! Seriously! Your kids have too many toys! I can’t think of a single kid (mine included) who don’t have more toys than they could possibly play with! 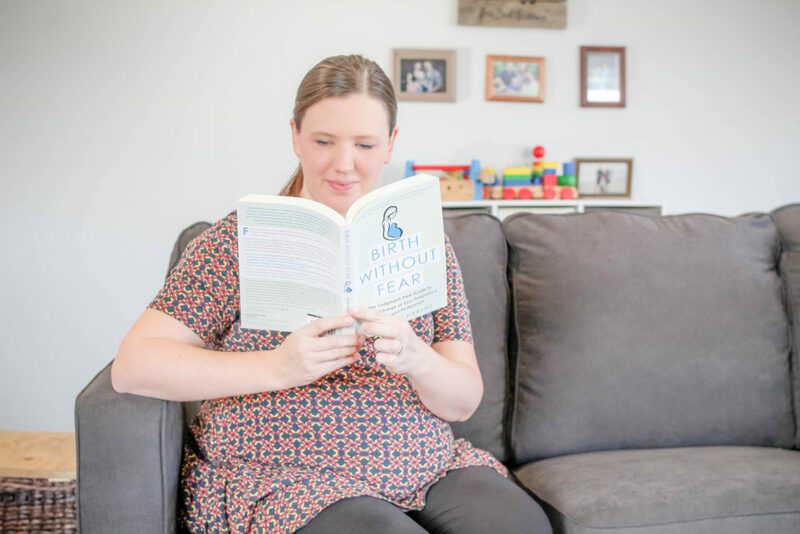 If you have little kids then it’s a lot easier – you get free reign to get rid of things and you don’t have to ask or tell them. If you have older kids, enlist their help. Get them thinking about what they do and don’t play with. Find a women’s shelter or foster family who could use the toys and encourage your kids to think about others as they’re giving their toys away! Be tough in your purging. Do your kids have 42 hot wheels cars but only gravitate toward 18 of them. Only keep the 18! Do your kids have a million and a half barbies but prefer American Girl dolls? Maybe get rid of the barbies all together. 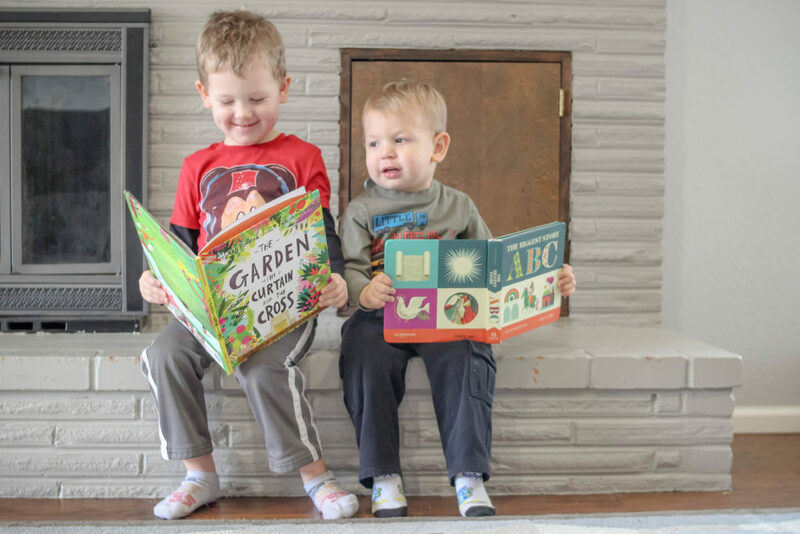 I’ve definitely found that fewer, more quality toys lead to happier kids and a cleaner house! This doesn’t have to only happen once. When your kids get more toys, purge again. When a toy breaks, get rid of it! When a toy hasn’t been played with for a while and no younger kids are going to be interested in it, give it away! Bless others with the things you no longer need. 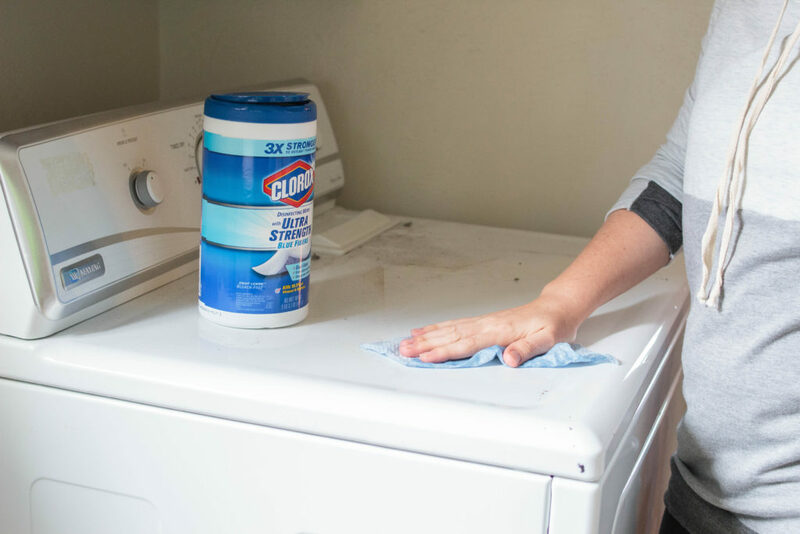 Once you’ve decided what you’re going to get rid of, it’s time to make sure the toys you’re keeping are clean and have fresh batteries. Make sure all the puzzle pieces and game pieces are accounted for. As you’re looking more intently at the toys you might see that even more toys can be purged. Do it! 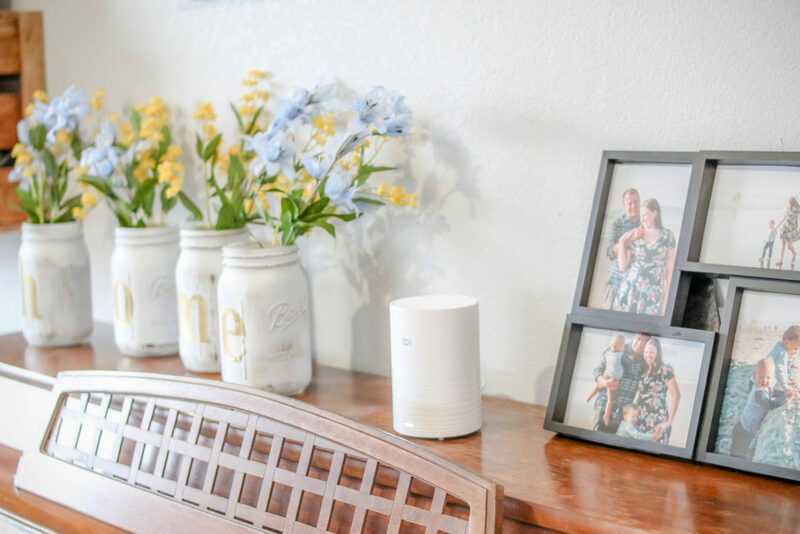 There are some things that don’t fit in the boxes that we keep for sentimental reasons (like some extra stuffed animals) but those have places too! I’m sure as the boys get older we’ll add spots in their rooms to store more toys but I’m always committed to everything having a place! 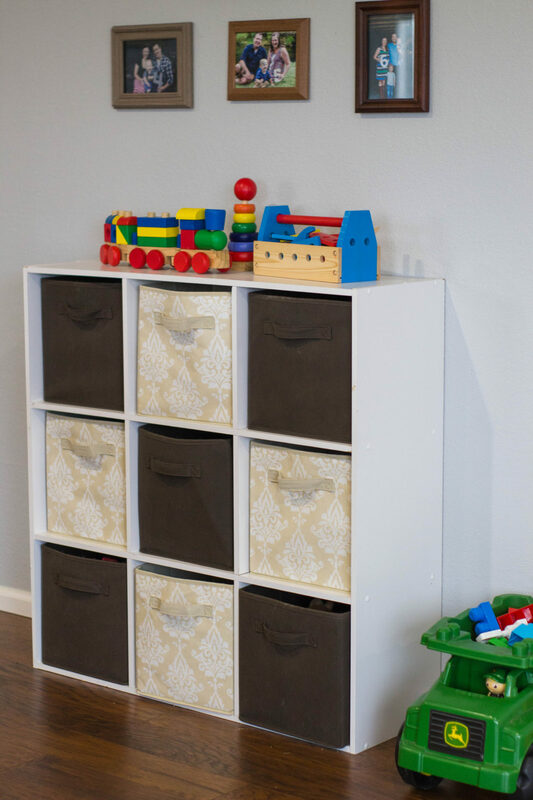 In order to keep your toys organized, you have to teach your kids where the toys go. At around 18 months or so, Caleb started understanding that certain toys went in certain spots. He now knows where to put things when it’s time to clean up. 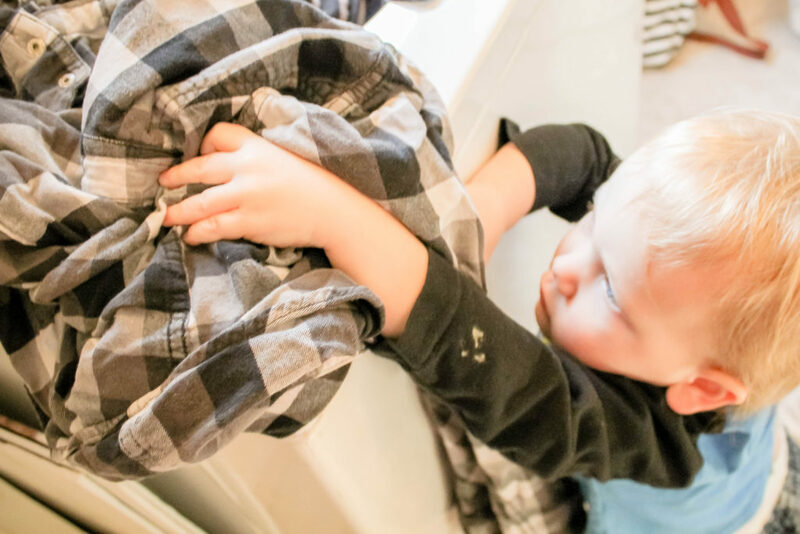 Obviously he’s a threenager so he doesn’t always cooperate with his mama’s organizational desires but he’s pretty stinking great about putting things away properly and that’s just because we enforce it. 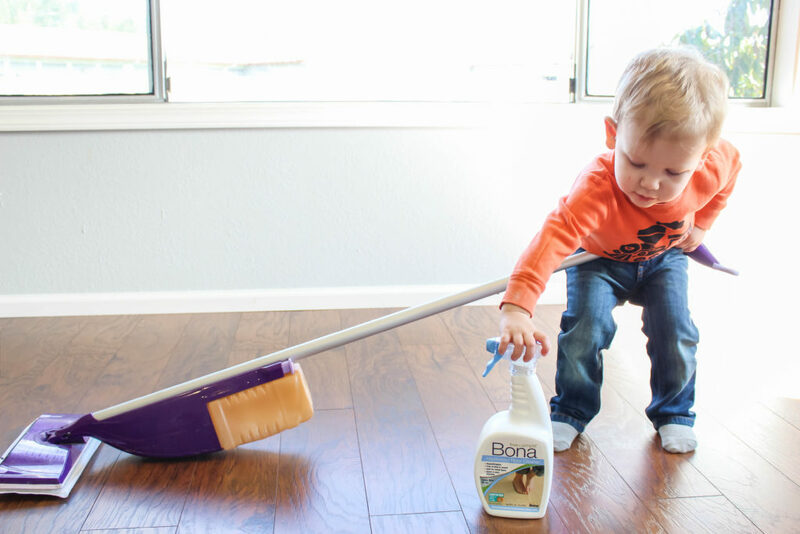 We firmly believe that toddlers and and should help out with chores around the house! 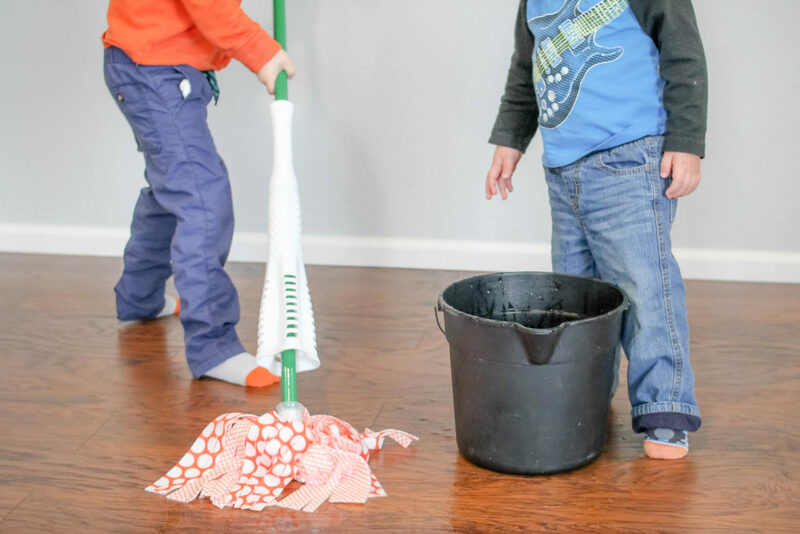 Once your kids understand where the toys go and they don’t have so many toys that cleaning up is overwhelming, your house will be so much cleaner! 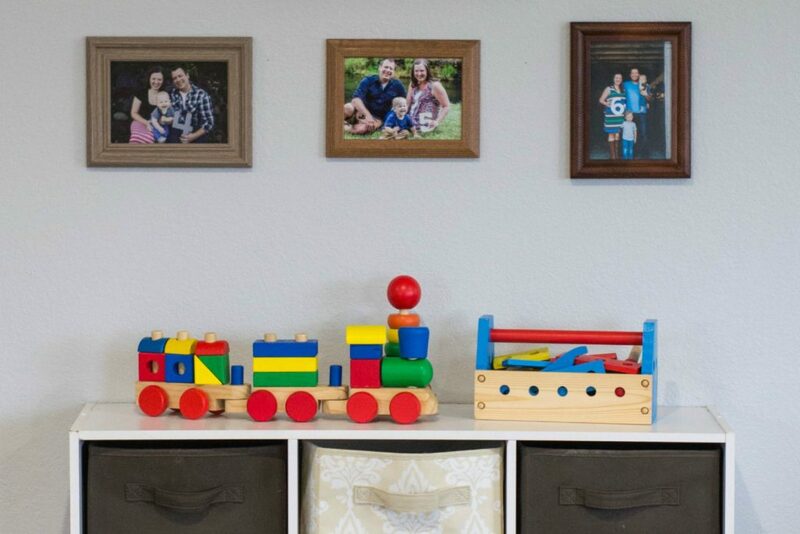 Where do you keep the majority of your kids’ toys? What toy(s) are you going to purge?